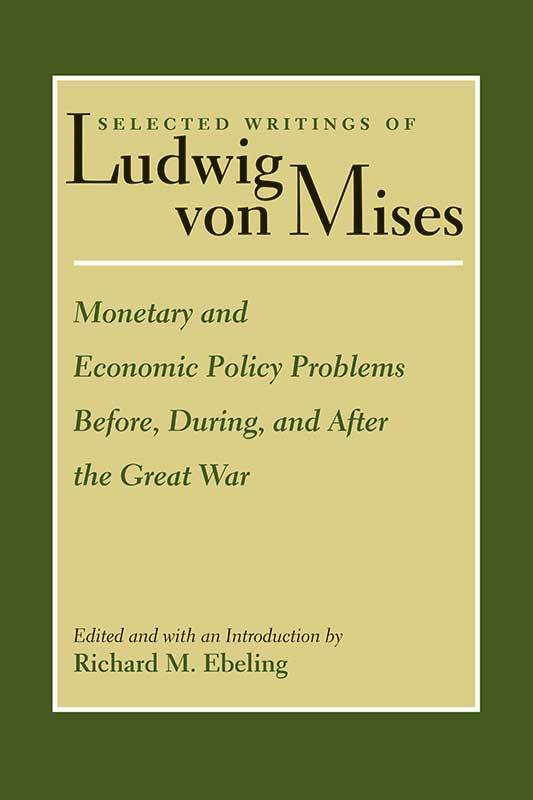 The present volume is devoted to some of Mises’s earliest writings. As with the second volume in the series, the articles that compose this book include Mises’s policy memoranda, essays, and speeches that were found in a formerly secret KGB archive in Moscow. The articles have two primary focuses: First, they reveal Mises’s thoughts on the monetary, fiscal, and general economic policy problems of the Austro-Hungarian Empire before and during World War I; and second, they focus on his thoughts on the new postwar Austrian Republic after the dismantling of the Habsburg monarchy. An appendix to the volume includes a curriculum vitae that Mises’s great-grandfather prepared for the Habsburg emperor in 1881 as part of his ennoblement, which gave him and his heirs the hereditary title of “Edler von.” Also included is a talk that Mises delivered at his private seminar in his office at the Vienna Chamber of Commerce in the spring of 1934 on the topic of the methodology of the social sciences. Richard Ebeling is Professor of Economics at Northwood University. Editor's introduction, annotations and critical apparatus, notes on the translation, bibliography, biographical notes, appendix, index.